There’s a good chance the world would not have known of Bachendri Pal as a Padma Shri for her exploits on Mount Everest in 1984. Last month, she was awarded the Padma Bhushan for her work since that epic climb. 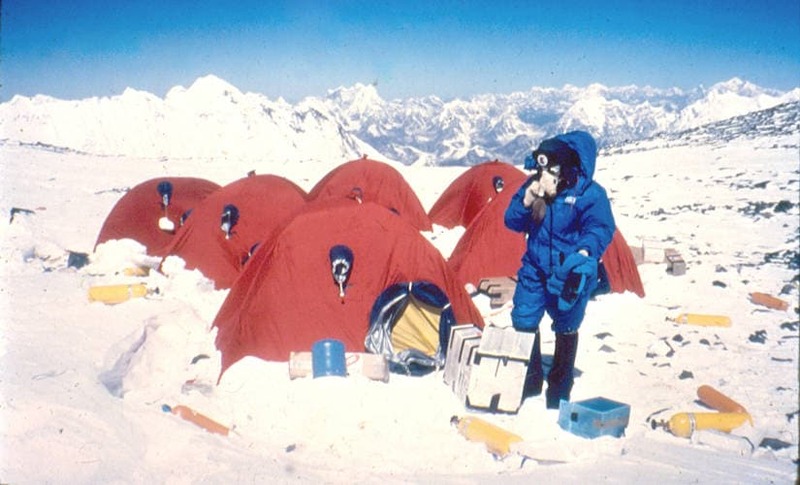 At Camp III (24,000 feet) on 16 May, 1984, Pal had just settled into a deep slumber alongside 10 other climbers. The full moon on Buddha Purnima had created a gorgeous setting, lighting up the ice-crusted slopes of the Lhotse face. All that changed in a flash, 30 minutes past midnight, when the serene setting was ravaged by a thundering avalanche. Pal was rudely awakened with a crushing blow to the back of her head. With injuries to the other members at Camp III, there were now severe doubts on the success of the expedition that was driven towards putting the first Indian woman on top of Everest. Leader Darshan Khullar reached out to Pal on the radio and checked on her intentions. “Practically everyone was hurt – it was a miracle no one was killed. 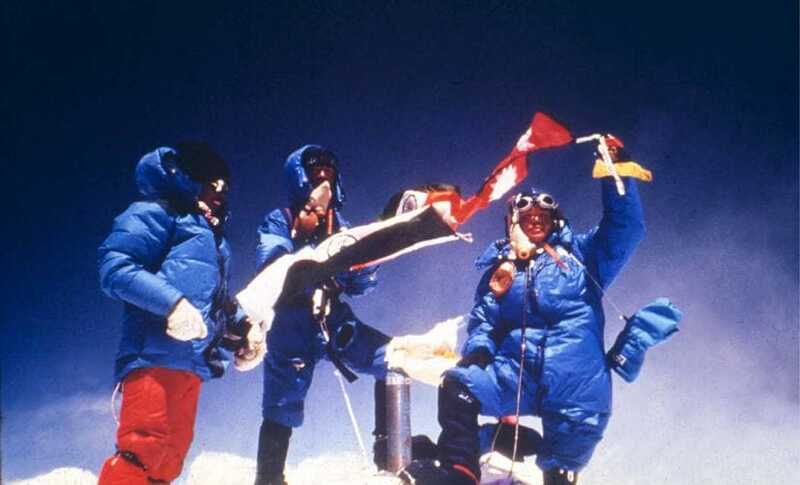 When the male members decided to return to base camp due to injury or shock, the leader asked me, being the only female member on the summit team, whether I would like to give it another try,” Pal recalls. “I did not tell him about the head injury I had suffered. I simply said, “Yes sir, I will”. This decision was the turning point of my success story. God had saved my life and perhaps, it was a message for me to keep my destiny with Everest,” she adds. Bachendri Pal is seen here at the South Col, on her way to roof of the world. The odds were always stacked up against Pal, right since those early days spent in Nakuri, a small village on the banks of the Bhagirathi river in Uttarkashi district. Growing up as one of five siblings, Pal was taught the value of effort and struggle early on. “My parents worked very hard, devotedly and honestly, to provide for us. My biggest learning from them was that no effort was big or small. I can truly say that I am the person I am today because of them, my first idols,” she says. Those hardy days in the mountains of Uttarakhand shaped her into a dreamer. When Everest beckoned after an education and a job as a school teacher, there was no looking back. “I would carry stones in my rucksack from my house in the mountains to higher reaches and return with firewood and fodder. A few in the village were convinced that I was building a house on top. In this way, I could attend to my fitness regime as well as perform the household chores,” Pal said. The preparations were then in place for the mixed Indian Everest expedition, which was organised on the behest of Prime Minister Indira Gandhi, who wanted to see at least one woman on the summit. Though the first basic mountaineering course had been conducted by the Himalayan Mountaineering Institute in 1962, it was only now, 22 years later, that a plan had materialised to put Indian women on the mountaineering map. In 1965, a team led by Captain MS Kohli had put the first Indians on top of Everest. Three years before Pal climbed Everest, the first Indian women had made it to the summit of Nanda Devi – the highest mountain, completely in Indian territory. The time then was ripe to take on Everest yet again. Only four women had made it to the summit until then. Now, the world had their eyes on the Indian expedition, adding to the unsaid pressure of expectations that came alongside the challenge. In retrospect, Pal claims that she was the only one on the list of every selector during the early days of planning. “I was the youngest on the team and extremely fit. I didn’t believe in taking favours or asking for special treatment. At the same time, I was the least experienced in terms of mountaineering, so I did not carry any baggage, as was the case with the other women, who knew how big the expedition was. If at all, I was simply competing with myself to better my performance,” she says. So when the opportunity arrived to attempt the summit yet again, Pal collected herself to make it count. At 4 am on 23 May, Pal stepped out to a calm setting at South Col. She melted snow, boiled some tea and summoned an appetite of a few biscuits and half a slab of chocolate. The climbing gear was put on with great difficulty, the rarefied air making the mind-body coordination a struggle. By the time she set out on the final push, the wind was beginning to pick up. “It was not a question of climbing, but a question of surviving – the altitude, the cold of 30 below zero and braving icy winds of nearly 100 kmph,” she recalls. Finding no one else outside besides Ang Dorjee, the Sherpa sirdar, Pal decided to join him rather than await the rest. “There was some doubt in my mind about the mentality of other male climbers. Certain incidents during the expedition made me realise that if I was to reach the top, I would would have to be bold and believe in my own strength and climbing skills. I was ready, not only physically and mentally, but also emotionally and spiritually,” Pal says. At 1.07 pm, Pal took the final steps towards the summit alongside Dorjee. She went down on her knees and put her forehead on the snow, kissing the crown of the world. From her pocket, she took out an idol of Goddess Durga and the Hanuman Chalisa given by her mother, before placing them on the summit. Pal went down on her knees and put her forehead on the snow, kissing the crown of the world. “Durga represents Shakti and she gave me inner strength to face various challenges on the way. My thoughts went out to my parents, who had taught me how to deal with tough situations. After 43 minutes on the roof of the world, my focus turned towards a safe descent,” she says. None of the other women on the expedition made it to the summit. After a whirlwind of celebrations and receptions, Pal, who had joined Tata Steel in 1983, was greeted by Russi Mody, Chairman and Managing Director, who announced the formation of the Tata Steel Adventure Foundation (TSAF). “A separate department for adventure in a company is unheard of in the corporate world till today. My aim was to promote adventure programmes among girls and women in particular, so that they grow to be more confident and start believing in themselves,” she says. During the early days, a few were hesitant to let their daughters out of the home, let alone stay in overnight camps. But the moment they met Pal, they saw a role model in her and gradually, the efforts picked up momentum. On her part, Pal took on another challenge – that, of grooming herself to be a leader. In the next few years, she led a number of climbs up mountains such as Kedarnath Dome, Sri Kailash, Kamet, Abi Gamin and Mamostong Kangri to learn the intricacies of managing complications that arise among humans in testing environments. Nine years after reaching the summit, she took on the challenge of leading an all-women’s team up Everest alongside Rita Gombu Marwah in 1993. 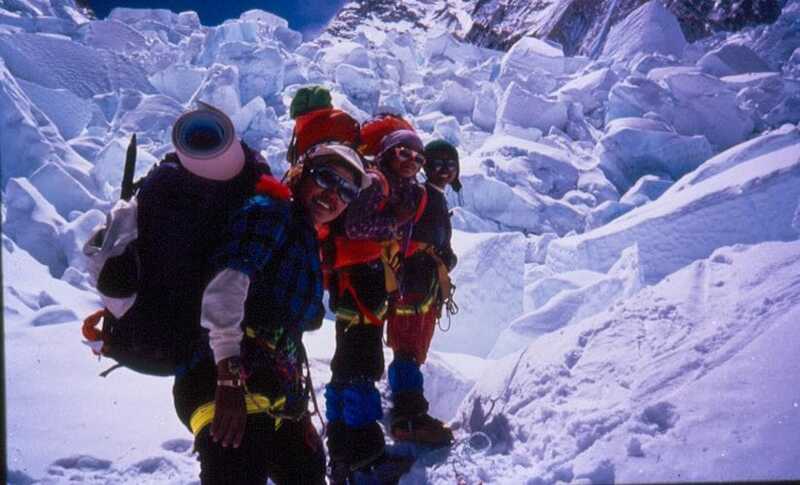 Pal leading Indo-Nepalese women expedition in 1993. By the end of that climb, the team had set seven new records in the world of mountaineering. “It was a landmark. Immediately after this, mountaineering institutes in India started having women instructors on their payroll. Prior to this, no woman was considered capable, but the expedition changed that forever,” she says. These days, Pal continues to mentor those hungry for adventure. A few have made it up Everest, such as Premlata Agarwal, a mother of two who reached the summit in May 2011 – then, the oldest Indian woman to do so – and who went on to bag the Seven Summits as well. And Arunima Sinha, an amputee who reached the top in May 2013. Then, she found the need to give the youth of Jharkhand, where TSAF is based, a taste of adventure, grooming 10 Everest summiteers till date. Besides mountaineering, she also took on other adventures, such as rafting down the Ganges, which included a clean-up drive where they gathered 55 tonnes of garbage. And her teams also came out time and again to serve the nation during the time of natural calamities. “After 1984 I have been to the Everest region seven times. It has been a nostalgic journey for me each time and I have bowed my head to Sagarmatha (what Everest is known as in Nepal), who has made me stronger to be able to reach out to others and touch their lives positively,” she says. “The teaching that my parents imparted as part of daily life was immense. With this gift, I would have led a meaningful life or made my life meaningful in more ways than one,” she adds. Everest then, was just a stepping stone for Pal in her mission to produce more Bachendris from India.